Being a one hit wonder or having a few hits is nothing new to country music. And the feat is not unique to country music. Yet something seemingly nearly unique to country music is the ability for aspiring country singers to have a small flash of success as an artist only to fade away and later find enormous success as songwriters for the biggest stars in the business. The casual fan may not recognize a few of the names in this article right away. These artists have had at least one or two hits of their own as singers and a couple had even a big run of hits during their heyday. What these folks are better known for is their songwriter careers after their singing careers didn’t work out. And in fact they’re some of the most important people in Nashville. 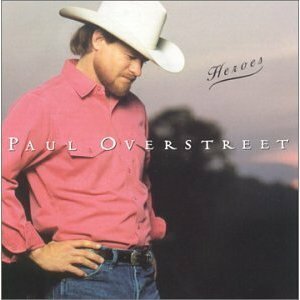 I don’t know if Paul Overstreet is the original kind of successful country singer turned superstar country songwriter, but he’s the first and the original that comes to my mind. Overstreet’s career began as a Cinderella story. He moved to Nashville with nothing, but his love for music. He slept in his car at times until he finally gained enough attention to make a living playing music. He was signed to a label in 1982 and didn’t have much if any success on the charts. Later in the decade he had a hit for Tanya Tucker and was signed to a new label where he had a hit with his band SKO. In 1987, Randy Travis released one of Paul’s songs Forever and Ever Amen and it became a huge hit. Later in 1988, Paul released his second solo album and it saw the release of five straight top ten country songs including hits All The Fun and Seein’ My Father In Me. Later Paul had a number one hit of his own with Daddy’s Come Around. After his third album Paul’s singing career came to an end in the mainstream sense. He continued having his songs recorded by country stars including Blake Shelton with Some Beach. Paul’s music is known to have a wholesome family aspect to it. There is a purity for the good country life in his lyrics and the stories he tells. He had a way with melodies as well. I’m assuming here he had a role in creating the music on his co-writers. Either way Paul has played a huge role in the success of country music over the past 25 years. His songs have reached the top of the charts numerous times and even though his run of success as a singer may have been short, his time at the top of a songwriter has been long and prosperous. In the ’90s country music saw so much success there were bound to be critics. Some people even said things were going so well for those involved in country music that any good old boy with three names and a hat could have a country hit. It was kind of a backhanded compliment for the industry. David Lee Murphy could have filled the role of that stereotype back in the ’90s, but after his run of success as a singer came to end he went on to become one of the most important songwriters in Nashville. David Lee’s career as an artist began in 1994. He had a couple minor hits before the second single from his debut album Out With A Bang was released. The song was Party Crowd and it became David Lee’s first top ten hit. The song also went on to be one of the biggest songs of the year in 1995. Later that year David’s biggest hit as a singer was released. Dust On the Bottle is a foot stomping country song with plenty of tradition and good hearted lyrics. I remember being in college with friends at a house and every time…every time this song would come on the stereo every one in the room would start singing along with the chorus, stomping their feet the entire time. It’s really great. David Lee had a few more hits in the late ’90s and even had a top five hit with Loco in 2004. But what David Lee has become known for and what may perhaps define his success in country music is his songwriting. The list is almost too big to name, but David Lee’s songs have become top hits for the biggest country stars like Kenny Chesney and Jason Aldean. You probably recognize Living In Fast Forward and Big Green Tractor. There are many other hits for other artists. It’s almost possible to recognize David Lee’s personality in the songs he writes for other artists. 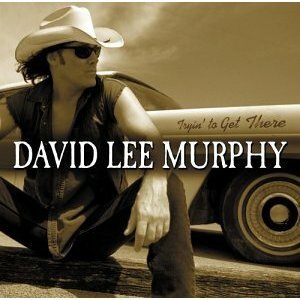 It was a good career for David Lee Murphy as a country singer. It’s a career many would love to have. It’s been a great career as a songwriter for David Lee Murphy. One many won’t have. Country music is lucky to have David Lee Murphy. Most people probably won’t recognize the name Shane Minor. In fact, most people probably won’t remember Shane’s hits from the early ’00s. 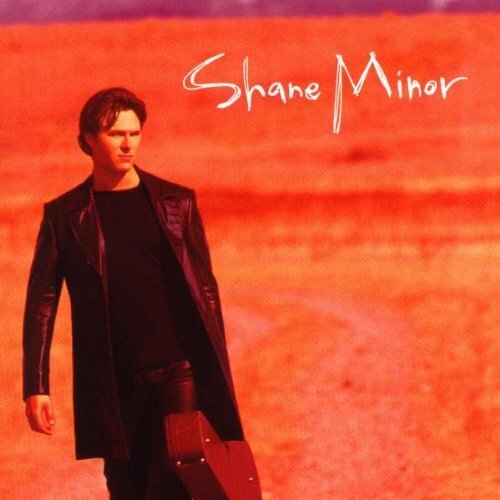 Actually in 1999 Shane had two top 25 hits on the country charts and with his charisma and talent things seemed to be looking up for the new singer on the block. By that time country was turning to a more pop sound and Shane seemed to fit right in the mold of the new country artist on the scene. Shane’s hits Slave to the Habit and Ordinary Love are great. They’re catchy and perfect country-pop. You’ll be singing the choruses by the time the song is over. It’s a shame things didn’t work out for Shane as an artist, but he went on to have big success not too much later after his singing career was over. In 2002, Shane had a co-write on the Diamond Rio song Beautiful Mess. The song #1 on the charts and Shane was legit in the songwriting world. Later he had hits for Craig Morgan (International Harvester), Clay Walker (Fall), and others. Today Shane remains one of Nashville’s biggest songwriters. Others come to him in search of a partner for writing some of country’s biggest hits. Artists put Shane at the top of the list for songs when they come up on making new albums. The strange part of Shane’s career is that his two hits weren’t his own. Toby Keith actually had a hand in writing Slave to the Habit. Shane may not have had a hand in writing his own hits and that makes his success story in the songwriting world even more amazing. Most artists that have a brush with fame find themselves looking for new lines of work after the star fades. Shane was one of the driven ones that found a way to stay in the music game and he’s now one of the best at his craft. With a name like Rhett you know you’re going to be interested in country music. 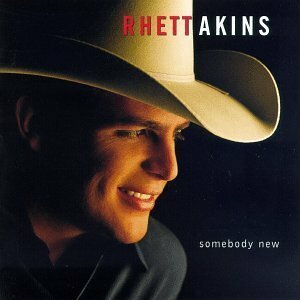 Rhett Akins’ career in country music got started during the heyday back in 1994. His first single release cracked the top 40. It was a snappy little number and caught some attention. The second single did about just as well, but it was the third single that broke Rhett Akins onto the mainstream country scene. That Ain’t My Truck became a top three hit on the charts. The song raced up the charts in 1995 and remained a huge hit on radio for many years. Even today you can catch country fans in their trucks singing the song lyric for lyric every time it comes on the radio. It’s a great, catchy country tune. Later in 1996 Rhett actually had a top hit with Don’t Get Me Started. Things were looking up for the singer, but Don’t Get Me Started turned out to be the last time Rhett saw the country top 30 on the country singles charts. He struggled with a few albums and single releases over the next several years before settling into his songwriting role in the mid to late ’00s. Once Rhett started writing songs for other artists it was like the floodgates opened. Stars like Brooks & Dunn, Blake Shelton, Joe Nichols, and others have recorded Rhett’s songs and have seen those songs shoot up the charts and become top hits. Rhett still records and releases music of his own and is heavily involved in the hunting industry as well with some of the biggest hunters in the game like Michael Waddell. I wouldn’t count out another hit for Rhett as a singer, but even if that doesn’t happen we’re sure to hear his songs on radio for many years. And I have to say before I close out this segment that I Was Wrong is my favorite Rhett Akins song. Staring way back in 1999 Scotty Emerick started writing songs with country mega-star Toby Keith. After that first song with Toby the two seemed to hit it off as songwriting partners. Toby and Scotty went on to record entire albums of their own songs. No one else even had a hand in writing most of the songs on Toby’s albums for the next 5 to 6 years. The songs Scotty helped write with Toby makes for quite an impressive list. We’re talking about I Love This Bar, I’m Just Talkin’ About Tonight, As Good As I Once Was, and so many more. 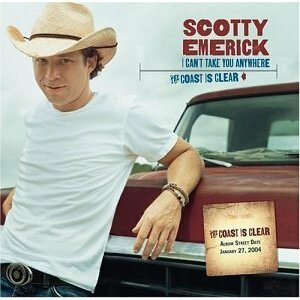 Scott tried his hand at singing in 2003 and had a top 25 hit with the song I Can’t Take You Anywhere. The song is really good. It’s catchy and I know it had some impact on country fans because I was listening to it while writing this article and my girlfriend started singing every word of the song. I was a bit shocked because most casual country fans don’t recognize the songs that get stuck in the 20s or so on the charts. She knew it though and that’s enough to convince me that Scotty had an impact as a singer and not only as a songwriter. I’m not sure exactly what happened to Scotty’s singing career. He never really seemed to be able to get it truly off the ground. He doesn’t seem to be writing as much with Toby anymore and I’m not sure if he’s out on tour with the big dog like he once was, but I hope we haven’t heard the last of Scotty Emerick. He had a huge impact on country music in the ’00s and played a major role in the success of one of country’s biggest artists of all time. 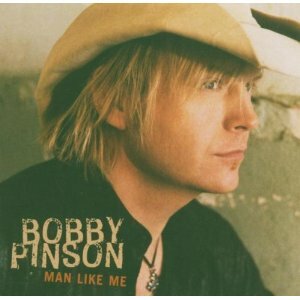 Bobby Pinson had a top 16 hit on the country charts in 2005 with Don’t Ask Me How I Know. The song touched a lot of country fans and then almost as soon as he came on the scene Bobby disappeared as a singer. It’s really strange actually for someone to have some pretty solid success right out of the gate and not even get a straight up second chance to take things to the next level. I’m sure something happened behind closed doors but it’s a bit strange. After his abbreviated career as country singer, Bobby teamed up with Toby Keith for some songs even co-writing all tracks on That Don’t Make Me A Bad Guy. Bobby then teamed up with superstars Sugarland for three number one hits Already Gone, It Happens, and All I Want To Do. Bobby’s career certainly has had huge success as a songwriter. He still seems to have the fire for singing as well. He released an album aptly titled Songs for Somebody a few years ago to acclaim but not may sales. I’m sure we’ll hear plenty of Bobby’s songs either from him or from other big artists in the next few years. In 1999, I was 15 years old and I remember watching CMT for an hour before I had to get on the bus to school. I remember vividly the first time I heard the song A Matter of Time from Jason Sellers. It had a great sound and it was something catchy and snappy. I thought it was a great song and thought this country newcomer would become a big star. 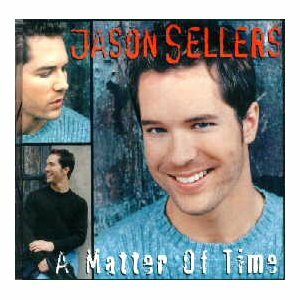 Only later did I find out that Jason Sellers was once married to Lee Ann Womack. Jason was a well respected musician and bassist in Nashville before landing a recording contract around 1997. He released two albums before fading away as a singer. A Matter of Time barely cracked the top 40 on the singles charts, but was his biggest hit as a singer. Later in the ’00s Jason made a living playing on albums as a bassist. Producers wanted him for his precision playing and later for his songwriting. Some of Jason’s songwriting hits include Some People Change, which was first recorded by Kenny Chesney and later released as a single by Montgomery Gentry. Many other songs were released as singles and more recorded of Jason’s. He seems to be doing well in his role as a sought after Nashville songwriter, but I hope we hear him singing more in the future as well. Some of these songwriters need another chance at fame as singers. 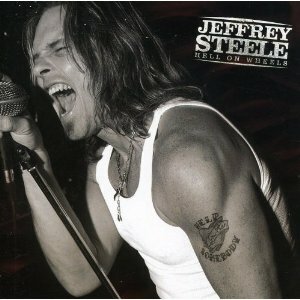 I couldn’t end this article without mentioning Jeffrey Steele. He’s perhaps the sole reason for stars like Rascal Flatts and Montgomery Gentry. Ok, maybe that is going a bit too far, but Jeffrey’s songs played a huge role in country music in the ’00s. Songs like What Hurts The Most, These Days, My Town, The Cowboy In Me, and tons of others were written and co-written by Jeffrey Steele. He’s still a sought after songwriter in Nashville. Artists certainly recognize his talents with music. Things got started for Jeffrey in the singing world way back in the ’90s when he was part of the band Boy Howdy. They had a couple really big hits back then. Later Jeffrey tried the solo game and had a few minor hits. After that he became one of the most influential songwriters in Nashville. These songwriters had their time in the spotlight as country singers. There were big hits and big tours for these artists before the star faded away before it really should have in most cases. After their time in the spotlight these guys stepped behind the curtain and got down to business writing some of the greatest songs in country music history. These artists had a big impact on the country world. Without their influence country music would probably look a lot different today. Even if you haven’t heard these guys sing on a record you’ve definitely heard their songs sung by others. If we forgot anyone please remind us in the comments. i have to mutch talent and im sure there’s a company out there lookig for a song writer! i’ve been writing on and off since 13. the first song i ever wrote was in memory of my aunts 1st husband. i’m looking to become a song writer for a company out of NASVILLE, TN. do’nt ask why when you know the answer… peace & love from MEMPHIS, TN. Head on over to Nashville, @Kuntry.